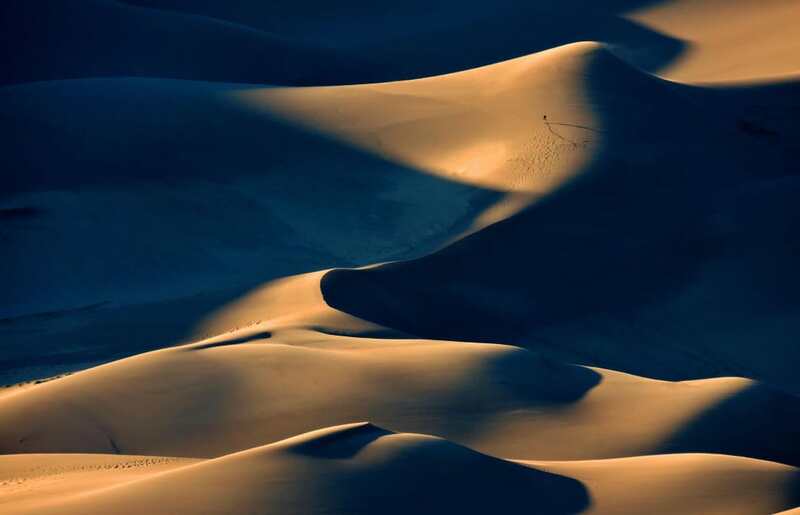 Great Sand Dunes National Park & Preserve is home to the tallest dunes in North America, topping out at around 755 feet. These ever-shifting hills and mounds sit west of the Sangre de Cristo Mountains, creating a mind-boggling, desert-like landscape surrounded by 14,000-foot snow-capped peaks. Compared to most of Colorado’s mountains, the Sangres are extremely rugged, due to the earth’s sudden upheaval that created their relief. The landscape here is one of the most stunning scenes in the entire country. The dunes are also surrounded by a variety of environments, including grasslands, wetlands, aspen forests, and alpine lakes. Nearby, a grove of 200 ponderosa pine trees, which is listed on the National Register of Historic Places, was historically peeled by indigenous tribes for food and medicine. From the best ways to explore the dunes to where to stay when visiting the area, here are 10 things you should keep in mind to make the most of your trip. There are more things to do at the dunes than you might expect. Medano Creek, a popular stream for tubing and beachside activities, curves through the edge of the dunes in the late spring and early summer. Minimal light pollution allows for a clear dark sky, which is ideal for stargazing and nighttime photography. These sand slopes are the perfect spot for sandboarding and sand sledding, as well as hiking or even backpacking. 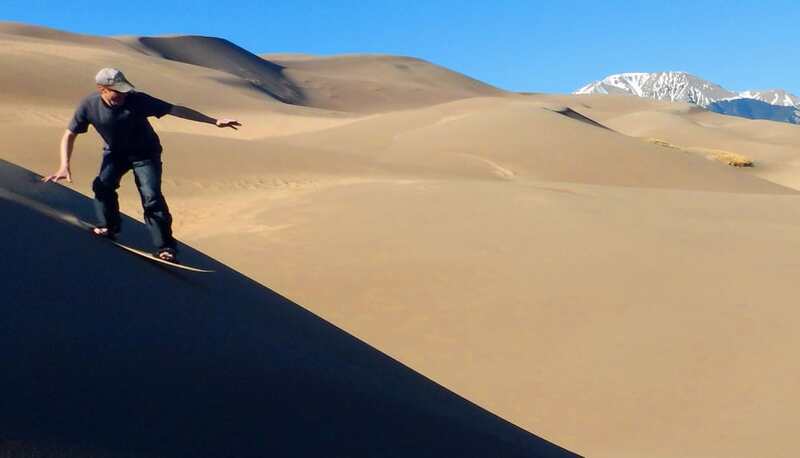 East of Great Sand Dunes National Park is more public land—Great Sand Dunes National Preserve, Rio Grande National Forest, and BLM land—where there are more trails for hiking and backpacking. Grab a sandboard and hit the slopes. Winter temperatures can drop below 10 degrees and reach highs near 45 degrees. If you visit during spring, be prepared for possible high winds in the afternoon. The months of March and April deliver the most snow of the year, so pack for any type of weather conditions during the spring. To ensure that you’re safe and comfortable during your trip, be sure to pack the proper gear and clothes. Grab your bathing suit for those warm summer days and splashing around in the Medano Creek. Bring a hat, gloves, wool socks, and a warm jacket for the night year round, because temperatures can drop. For sun and sand protection, pack a sun hat, sun gloves, sunglasses, long-sleeve shirt with UPF sun protection, and a bandana or lightweight face and neck cover like a Buff or Discrete neck buff. Consider packing earplugs to keep sand out of your ears when it gets windy. And don’t forget your camera and tripod! If the kids are exhausted or the weather hits the fan, a hotel is a great alternative. Options in Alamosa range from the Sunset Inn to Fairfield Inn & Suites Alamosa. Monte Vista also offers overnight options, including the Movie Manor Motel—a Best Western attached to a historic drive-in movie theatre—and the Mansion Bed & Breakfast. 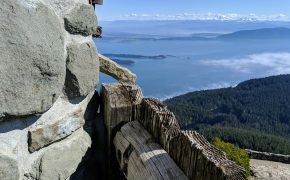 A tad further west in Del Norte, you can choose a higher-end experience at The Windsor Hotel, or enjoy a more laid-back, budget-friendly choice, the Divide Riders Hostel. Spend a night under the stars at the Piñon Flats campground. For car camping, travel one mile north of the visitor center to Piñon Flats, a National Park Service campground that has restrooms and a campground store. From the park, you can also travel west to Hooper where Sand Dunes Recreation offers sites for RVs and tent camping. On the northwestern edge of Alamosa, the Alamosa Economy Campground is open year-round and has showers. No matter where you choose to camp or backpack, make sure you pack enough water for hydration, cooking, and cleaning. Definitely plan ahead and carry prepared food for the sand dunes, or bring a cooler with fresh ingredients to make your meals on site. 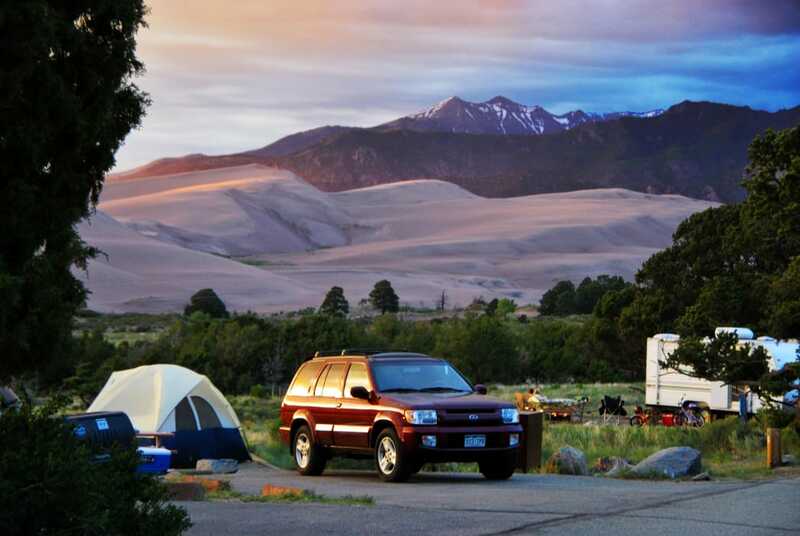 After your adventures on the dunes, head to Alamosa for a bite. Woody’s Q Shack in serves barbecue, while San Luis Valley Brewing Company offers vegan and pub fare. For coffee, breakfast, and pastries, try Blessed Brews Coffeeshop and Roastery and Milagros Coffee House. There’s a pretty good chance you don’t own your own sandboard or sand sled (snowboards and trash can lids won’t work well here). No problem! Rentals are available at Kristi Mountain Sports in Alamosa, Great Sand Dunes Oasis in Mosca, and Sand Dunes Recreation in Hooper. Rent a sandboard or sand sled from a local store or outfitter. Why worry yourself with all the logistics? If you want to enjoy some of the best fishing or paddling in the area around the park, hire a guide. The Upper Rio Grande Guide highlights top-notch local outfitters and guide services like South Fork Anglers. After a long day outdoors—especially a day spent in the sand—a good shower can be a great relief. The showers at Alamosa Economy Campground are open year-round, and the showers at Sand Dunes Recreation are open 24 hours. 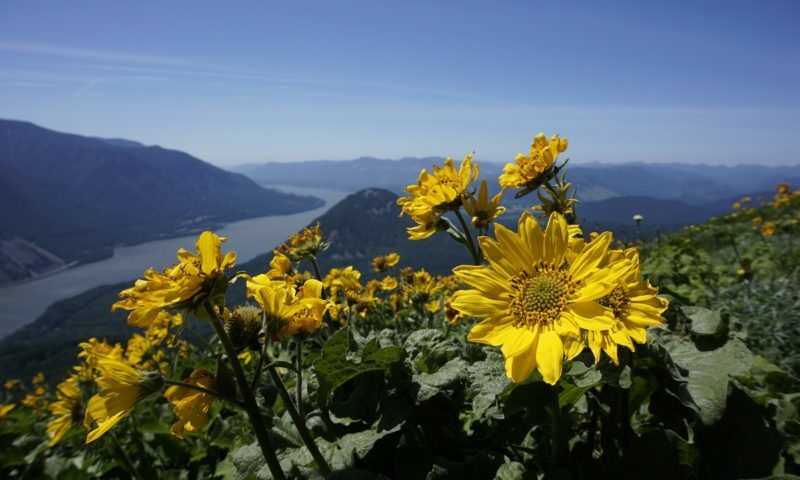 The park is in the mountains where elevation ranges from around 7,500 feet to over 13,000 feet. Even if you are coming from the Front Range, take it easy at first if you haven’t spent much time at higher elevations. 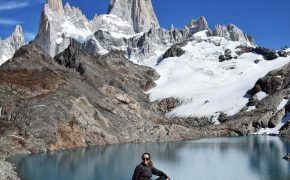 If you are coming from sea level, take it even easier, and plan more strenuous activities for later in your trip after you’ve acclimated a bit. If you get a headache, nausea, or feel more fatigued than normal, you may be experiencing mild altitude sickness. This can usually be prevented by drinking lots of water, but you may also need to take ibuprofen and rest. If you start vomiting, feel confused, have difficulty walking, or your headache doesn’t go away, see a doctor immediately. Great Sand Dunes National Park & Preserve offers free ranger programs, and the majority of the workshops are offered from late May through October. Some summer evening programs feature documentary films or slideshows, presented on a large screen in the open-air amphitheater. Check out the BLM Colorado Interactive Map for more information about the public lands in the San Luis Valley, and the Great Sand Dunes National Park & Preserve Visitor Guide for a detailed map of the park’s central use area and helpful tips. Written by Morgan Tilton for Matcha in partnership with Alamosa CVB.